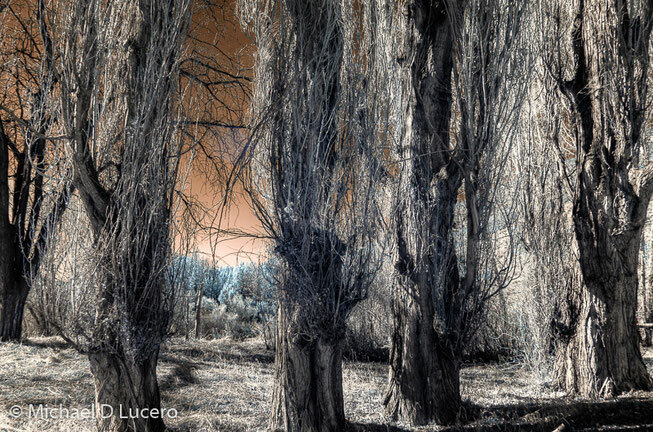 The process of infrared photography using a specially converted camera is understandably misunderstood. 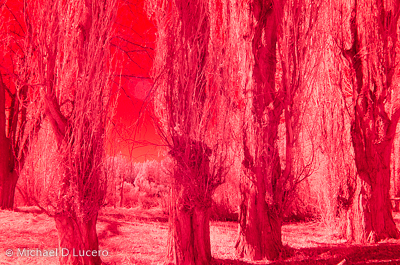 People often ask me how infrared photographs can exist if we cannot see the infrared spectrum. Others ask, what is infrared color? Digital camera sensors only capture light, not color. Color actually happens later. It doesn’t matter if the light being measured by the camera sensor contains visible wavelengths or not. The “light” is still measured and recorded. Placing a filter over the sensor that only allows the infrared wavelengths to reach the camera still captures the light being reflected from the scene..humans just can’t see these without some manipulation. When initially taken, a photograph will have a red cast to it. This is because the data has no meaningful reference to what is white according to our eyes and brain. Once you can identify what in the photograph should be white (or neutral gray), software can then do the math to convert all other parts of the photograph into something we humans can perceive. THIS IS GETTING A LITTLE COMPLICATED, but I am almost done! Some converted cameras, like mine, allow for some of the visible spectrum to be captured along with the “invisible” infrared spectrum. This allows for additional color creativity later on as the sensor can capture uneven amounts of light going through the red, green, and blue filters on the sensor. The bottom line: camera sensors record light, not color. Color is an act of the human eye and brain, and this allows for me to make full use of my “creative license” to do what I wish. In essence, I am adding perceivable color to infrared wavelengths. I really enjoy this process and the results. I do not have to be as concerned in the “visual accuracy” as much as to concentrate on the emotion and drama I am trying to capture and create. I am trying to use this visual freedom to push the attention to the design elements; to allow these elements to speak more eloquently by themselves with only the subtle push of color or manipulation of the black and white values. It is a different way of “seeing”. I hope you find these photographs intriguing. 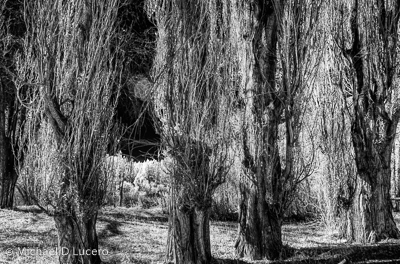 More images are found in my Infrared Portfolio. So cool Michael! You have explained the process to me before, but seeing the pictures put it in a whole new light. Very amazing. Call me sometime! I'd love to get together.